EARLIE A. MILLS,better known as "Ash" was born on August 12, 1933 in Halifax, NC. He departed his life peacefully on April 3, 2019 surrounded by his loving family. 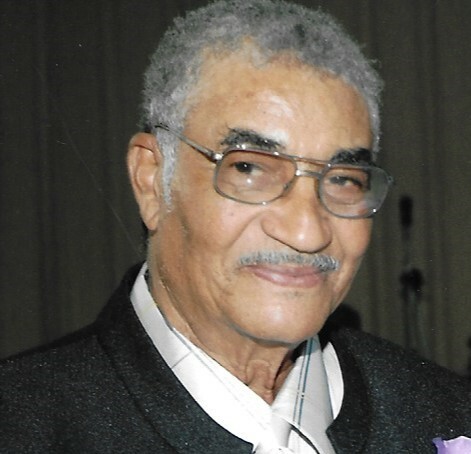 Early was educated in Nash County Public Schools in North Carolina and as a young boy, he worked on the farms until he decided to become a truck driver.After leaving North Carolina, Early moved to Baltimore, MD and became a Custodian at John Hopkins Hospital. After working at John Hopkins for some years, he found another job at Grey Concrete Pipe Company, where he stayed and earned his retirement. Early was proceeded in death by his loving parents Early Mills Sr., his mother Zonette Montaque, and all six of his brothers and sisters. He leaves to mourn his lifetime loving companion Carolyn Austin of 22 years; three children, Carolyn (Derick) Wells, Gail (John) Easley, Anthony (Cyntrice) Mills; Seven grandchildren, Towanda Jordan, Wade Henderson, Nikki Wells, Derick Wells, Nicholas Mills, Noah Mills and Christopher Sharp; six great-grandchildren; Abbulqur, Jessonia, Sahaylah, Janaib, Yasir and Tre; and a host of nieces, nephews, cousins and friends.